This revolutionary single-sided, anti-reflective, abrasion resistant acrylic, developed specifically for face/second surface mounting and direct printing on the substrate, delivers the highest-resolution viewing experience possible to truly reflect an artist’s vision, and nothing else. It captures the details with lifelike colors, incredible depth, and clarity to show photography and fine art as it was meant to be viewed. TruLife® Acrylic is combined with our leading Diasec® mounting technology, for the unbeatable presentation trusted by Art Museums World Wide. This side by side comparison shows the amazing reflection stopping power of TruLife Acrylic. Regular acrylic blasts bright reflections right back into the room and “Non-Glare” acrylic just softens the reflections, and your image to boot, and as you can see does very little to actually minimize the reflected light returned to the viewer. 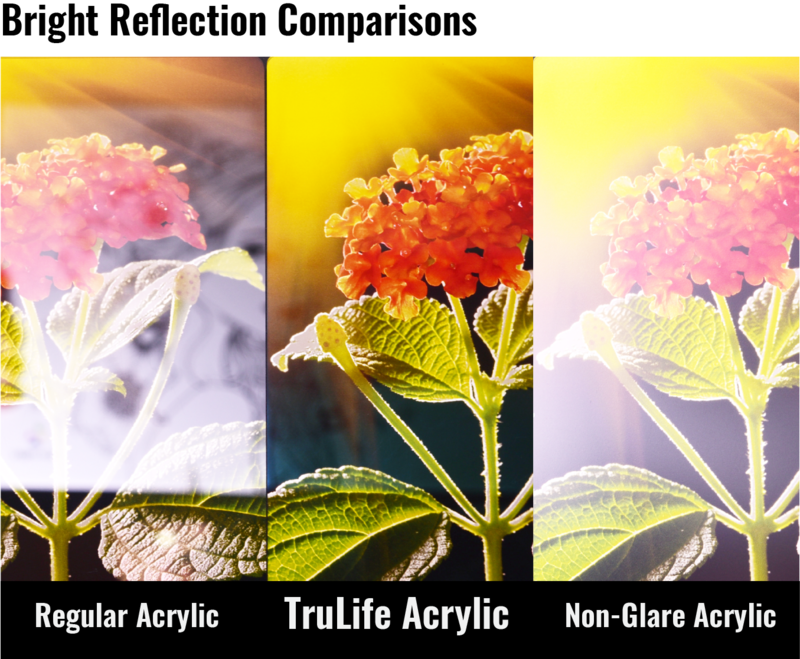 TruLife uses the same kind of technology used in camera lenses to increase image contrast and keep reflections at bay. 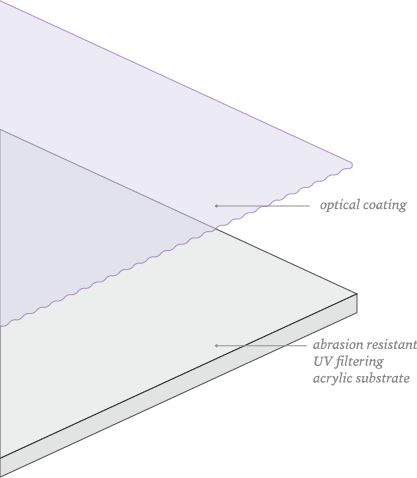 Virtually eliminates reflections when face/second surface mounted or directly printed. Cleans like glass – no special acrylic cleaners. Can TruLife® Survive the Steel Wool Test? I want to learn more about what TruLife® and Reed Art & Imaging can do for me.